Meet Pokémon Trainers Black and White. His entire life, Black has dreamed of winning the Pokémon League. Now he embarks on a journey to explore the Unova region and fill a Pokédex for Professor Juniper. White has an exciting career as the Trainer of a talented troupe of performing Pokémon. She dreams of making her Tepig Gigi a star. 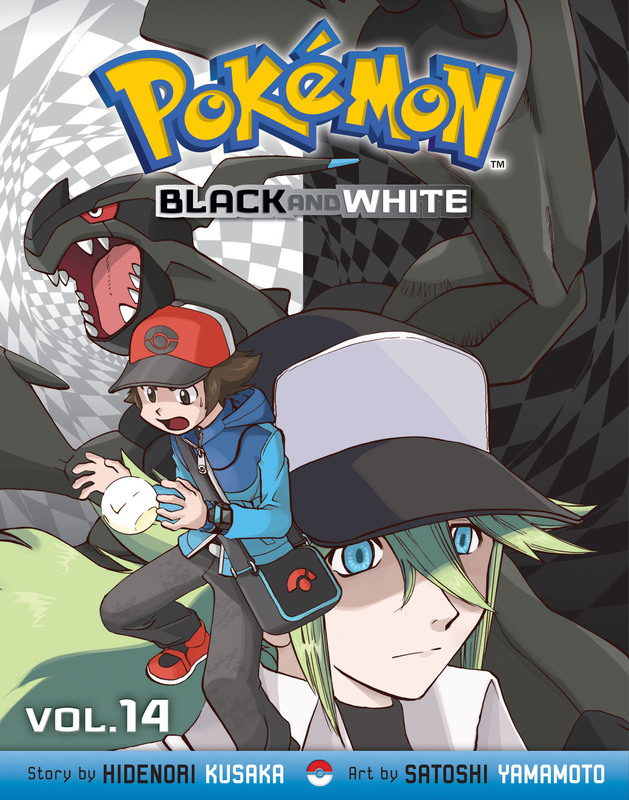 Together, Black and White continue on their journey... What surprising new Pokémon - and people - will they meet next?! Black is training hard with Gym Leaders Drayden and Brycen so he can help rescue the other Gym Leaders from the clutches of Team Plasma... But what are his new mentors planning to ask of him? And is it something he is willing - or able - to do? Also, Black learns a secret about his archenemy, mysterious N of Team Plasma. Then - oh no! Will it be too late for Black to qualify for the Pokémon League?! Plus, get to know and hang out with Cryogonal, Patrat, Vanillish, Beartic, Druddigon, and…Carracosta? !